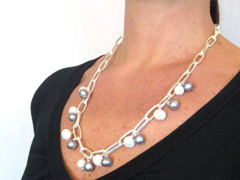 Beautiful fresh water cultured pearls on our handsome large link matte chain. 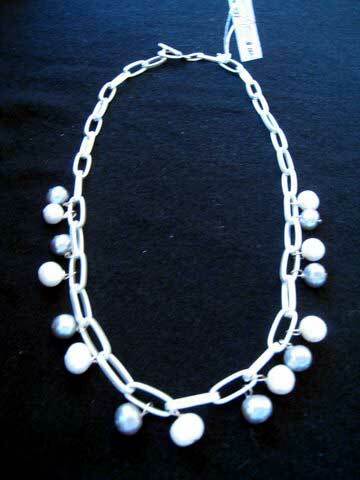 Gray and white pearls together on every other of the lower half of necklace. 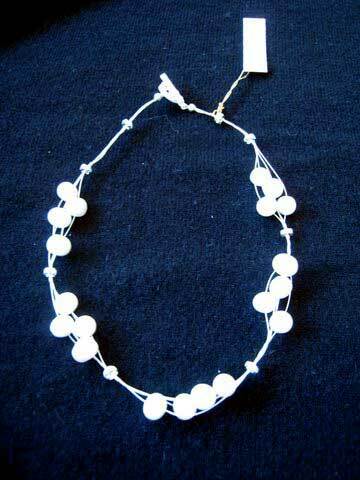 Delicate silver covered wires cluster groups of 4 pearls. Separated with sparkling Swarovski crystal rendels. 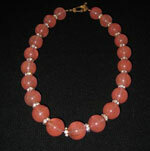 The toggle clasp is bejeweled with Swarovski crystals. 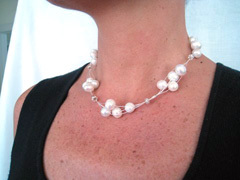 Unparalleled pearl necklace. 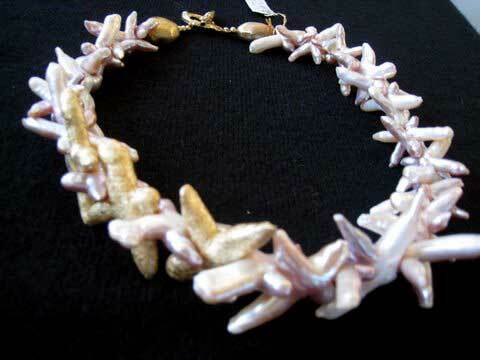 Shades of peachy pink, cross shaped pearls fit together to form a very unusual necklace. 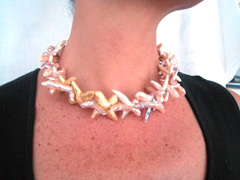 3 of the pearls have been lovingly gold leafed and placed asymmetrically for subtle interest. Japanese cultured fresh water pearls.